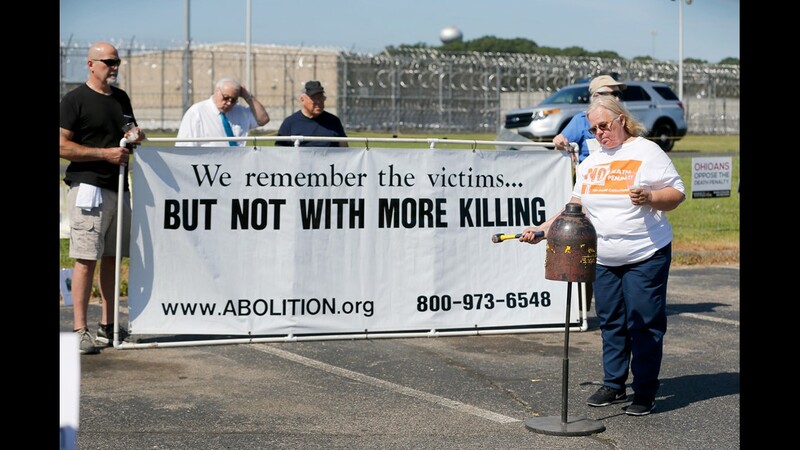 Trina Berends a native of Cincinnati now living in Las Vegas, rings a bell as her brother, convicted murderer Robert Van Hook is executed at The Southern Ohio Correctional Facility in Lucasville Wednesday, July 18, 2018. Berends got to visit her brother daily for a week leading up to his execution. "I saw him yesterday and he was great spirits. Bobby is prepared for this day." Van Hook was put to death more than 30 years after he brutally stabbed a man to death in his Hyde Park apartment. David Self, 25, was found nearly disemboweled by his neighbor in Feb. 1985. 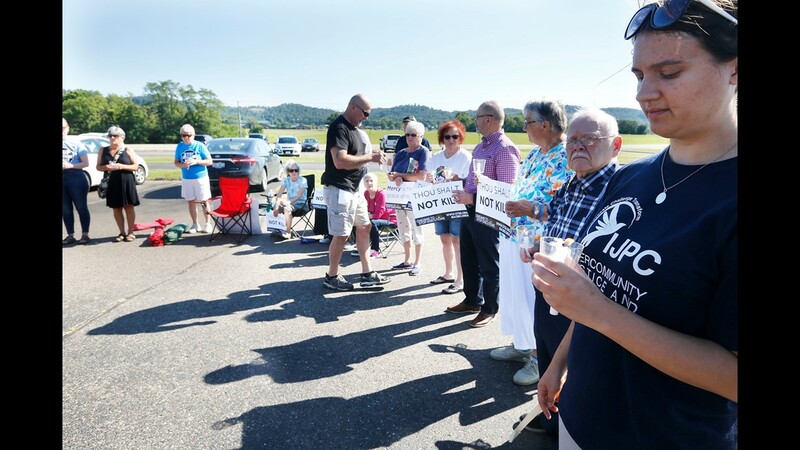 About 30 people gathered outside of the Southern Ohio Correctional Facility in Lucasville to protest the execution of convicted murderer Robert Van Hook on July 18, 2018. 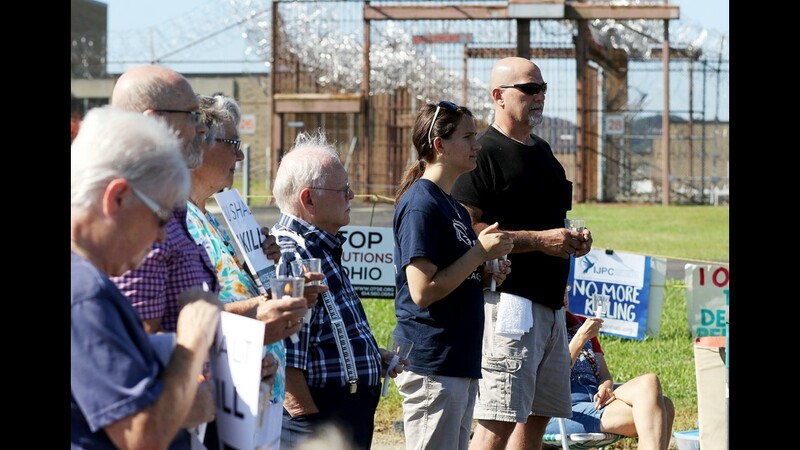 About 30 people gathered outside of the Southern Ohio Correctional Facility in Lucasville to protest the execution of convicted murderer Robert Van Hook. 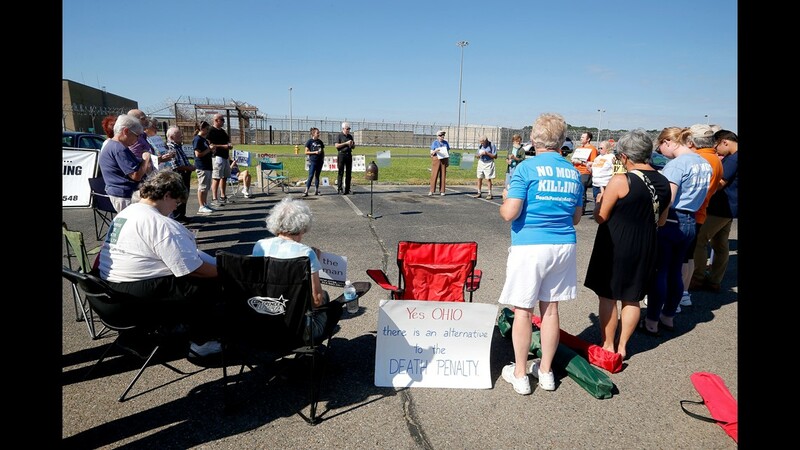 Jennifer Sens with The Intercommunity Justice and Peace Center (IJPC) of Cincinnati gathers outside of the Southern Ohio Correctional Facility in Lucasville with about 30 others to protest the execution of convicted murderer Robert Van Hook. 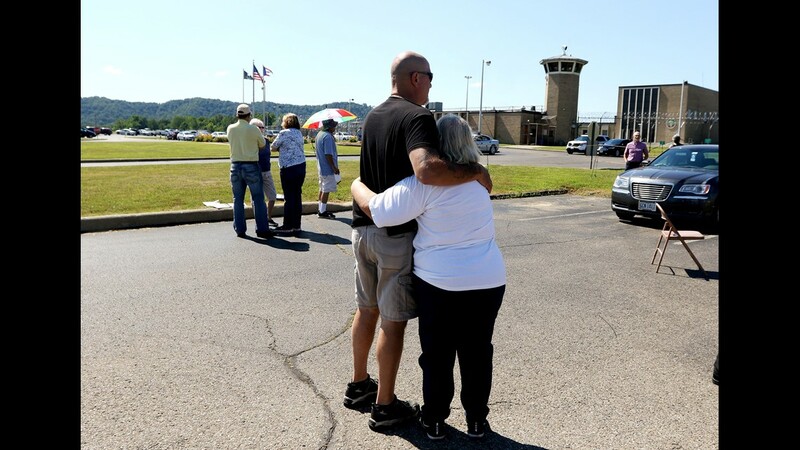 Joe D'Ambrosio of Cleveland hugs Trina Berends a native of Cincinnati who now lives in Las Vegas, after her brother was executed at the Southern Ohio Correctional Institute Berends visited with Robert Van Hook daily for a week leading up to his death. 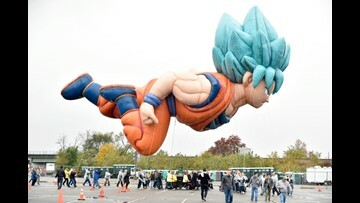 "I saw him yesterday and he was great spirits. Bobby is prepared for this day ... Bobby has always been sorry, very sorry, for what he did. D'Ambrosio said he knew Van Hook as the both served time in Lucasville. 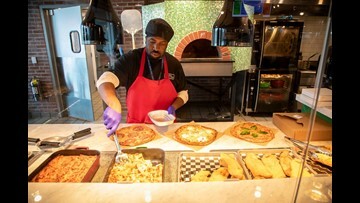 D'Ambrosio served 22 years in prison and was exonerated in 2010 and was released from prison in 2012. 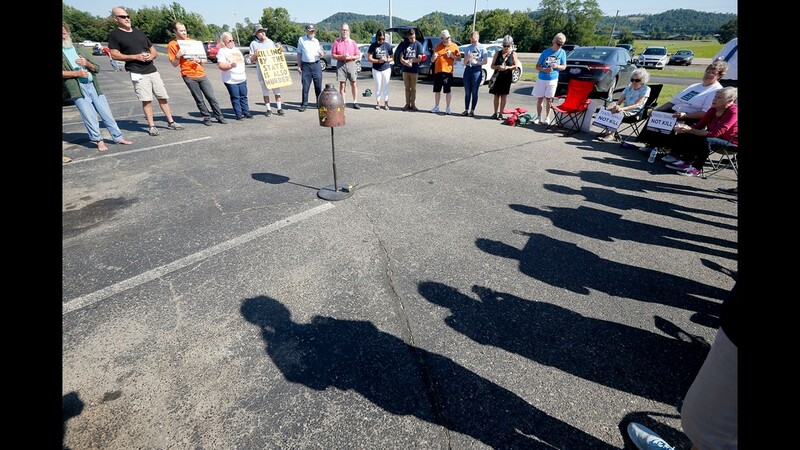 Joe D'Ambrosio of Cleveland, right, and about 30 others protest the execution of convicted murderer Robert Van Hook at the Southern Ohio Correctional Institute in Lucasville on July 18, 2018. 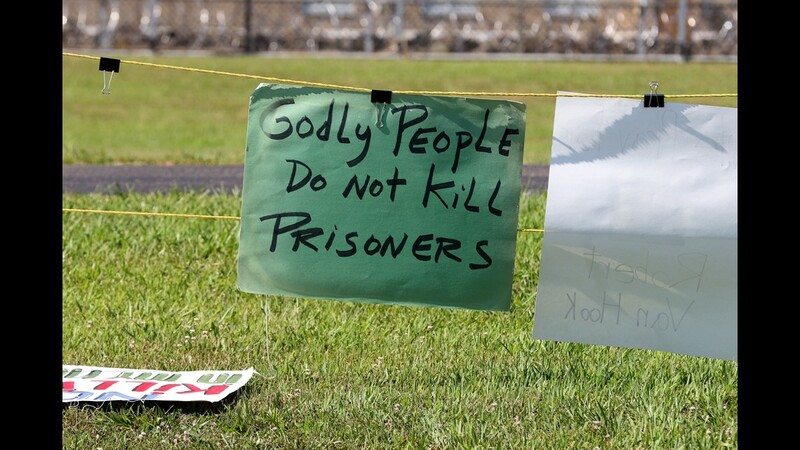 A sign reads "Godly people do not kill prisoners" at a vigil outside of the execution of Robert Van Hook.